An iconic artery flowing through the heart of London, the river Thames is not only a busy urban waterway but is also home to a fascinating and often unexpected array of wildlife. Declared ‘biologically dead’ in the 1950s, subsequent changes in effluent sewage treatment have substantially improved water quality and, as a result, a wide range of species have since returned to live in the Thames. ZSL are working with partners and volunteers on a range of projects aiming to further improve the ecology of the Thames estuary and the wider river catchment, and to conserve and better understand the species that are found here. 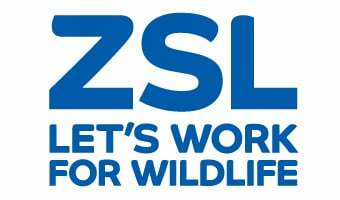 Follow links below to individual projects to discover more about the work that ZSL is engaged in within the Thames region. You will find opportunities to get actively involved in our work, whether it be reporting your sightings of marine mammals or volunteering as a citizen scientist and joining our survey work throughout the Thames river basin. Survey opportunities vary from year to year, but regularly include monitoring of upstream migration of European Eels (Anguilla anguilla), conducting invertebrate surveys in Thames tributaries to assess water quality and studying the abundance of non-native shellfish on the riverbed. Monitoring invasive non-native species in the River Thames.